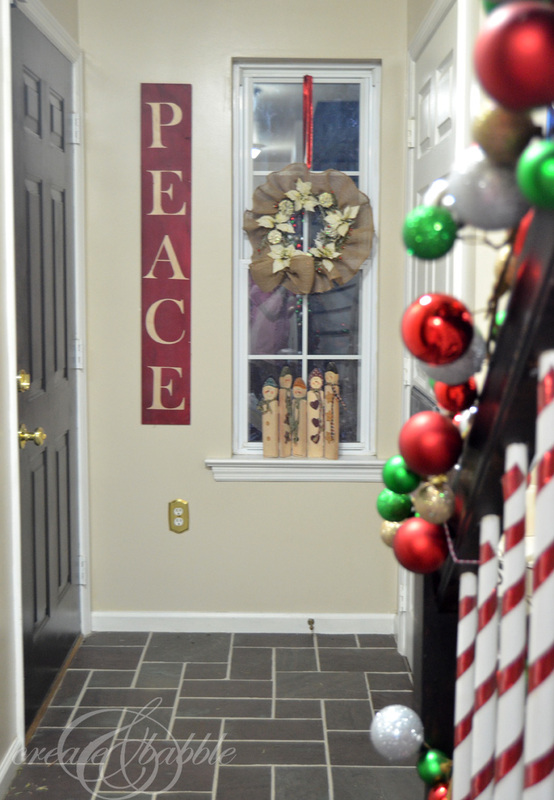 Welcome to my Christmas Home Tour! Are you ready for Christmas? I’m not quite there yet, but my home is finally decorated. Want to take a peek? 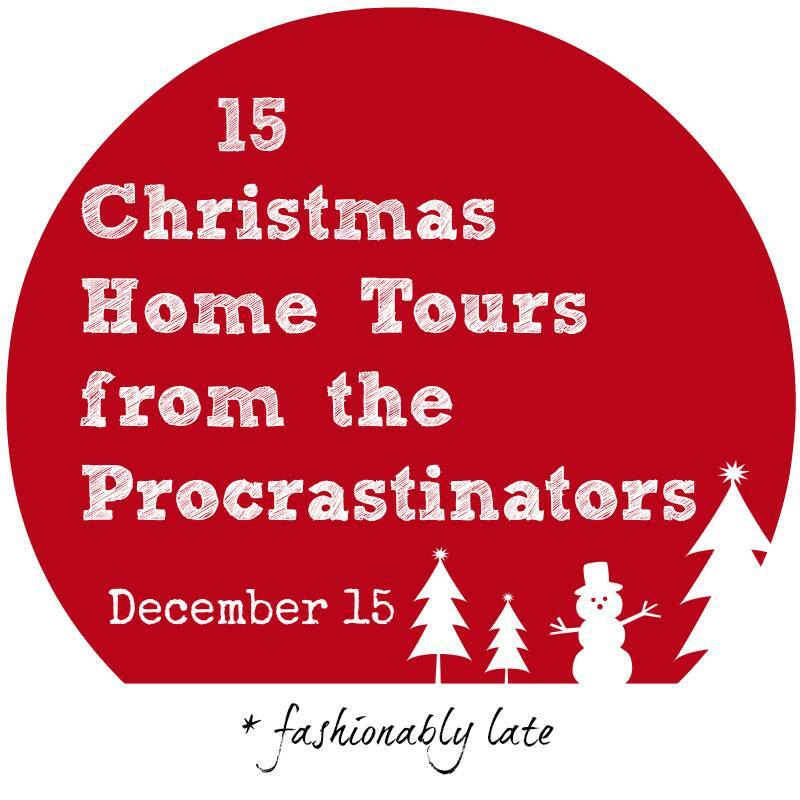 There are a total of 15 Holiday Homes on this Procrastinators Christmas Tour. Be sure to click on the links later on in this post. And there’s also an incredible giveaway for you to enter, so be sure to enter at the bottom! 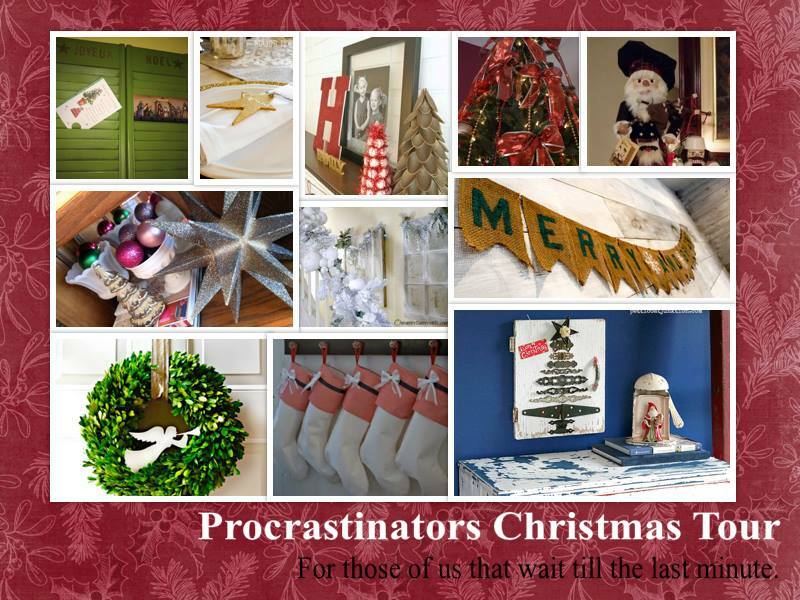 I never really think of myself as a procrastinator . . . just very busy. 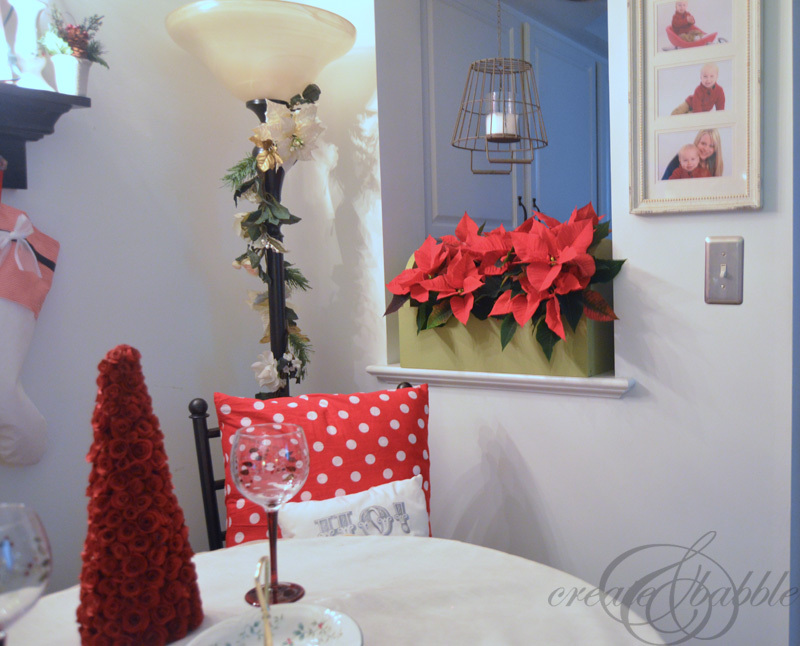 I almost always tend to decorate for Christmas with traditional colors. Call me old-fashioned, but nothing says Christmas to me like good old red and green. Don’t tell my HOA, but I snuck out in the cover of darkness to snip a few small branches off of an evergreen in the common area. They’ll never know. 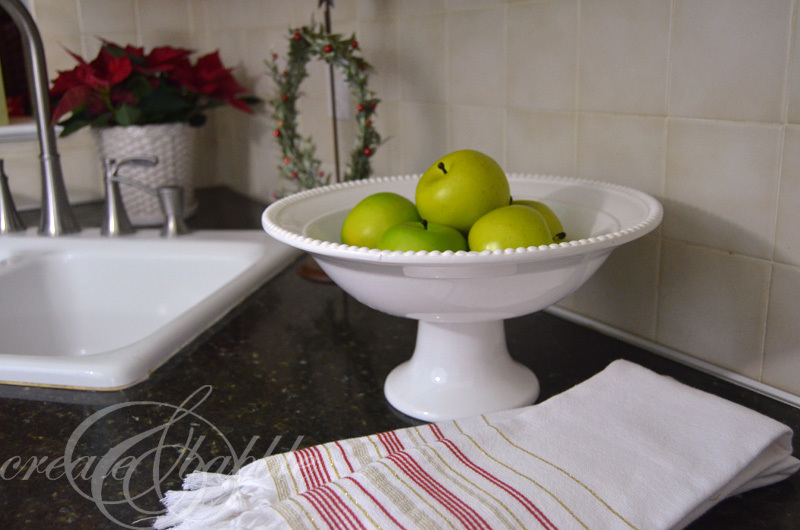 The white cabinets in the kitchen were screaming for some Christmas cheer. 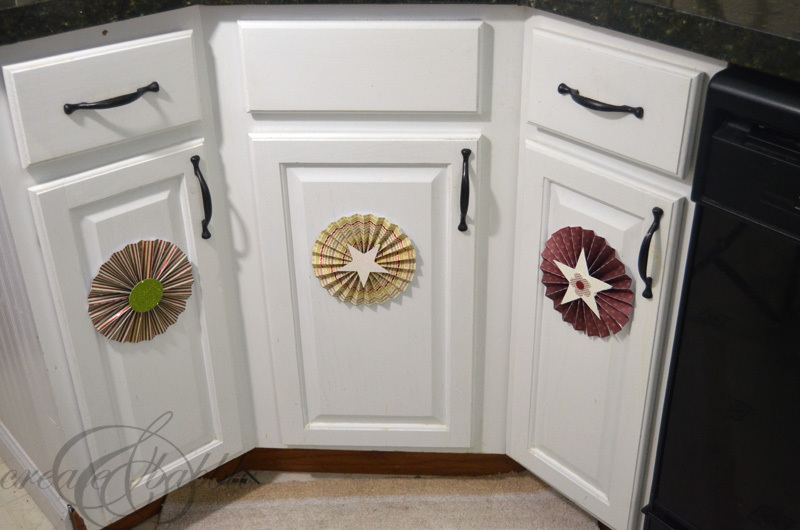 Paper medallions attached each door front was a quick and easy decorating solution. An artist, I am not, but I think I did okay on the salvaged wood chalkboard. We put up an artificial tree for the first time in years. I have to say: I love it. No falling needles! By the way, those curtains . . . they’re actually tablecloths! 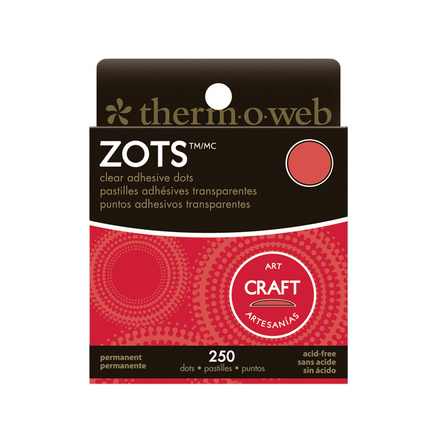 I love red and white buffalo check curtains for Christmas but I wasn’t willing to pay the high price for curtains that would be up for one month out of the year. This will be granddaughter’s first Christmas and I can’t wait! It was so much fun buying girl toys for a change! There’s always some furniture rearranging that has to be done to make room for the Christmas Tree. Every year, I think we try something different. The set of Winterberry dishes was an early Christmas present and the table is set for a romantic Christmas Eve dinner for two. Our Christmas traditions have evolved over the years. Now that the kids are grown, we celebrate here during the day on Christmas Eve. Then we have the evening to ourselves and enjoy the peace and quiet. On Christmas morning we’re up early to drive to my daughter’s house to watch the grand babies see what Santa brought. What fun! 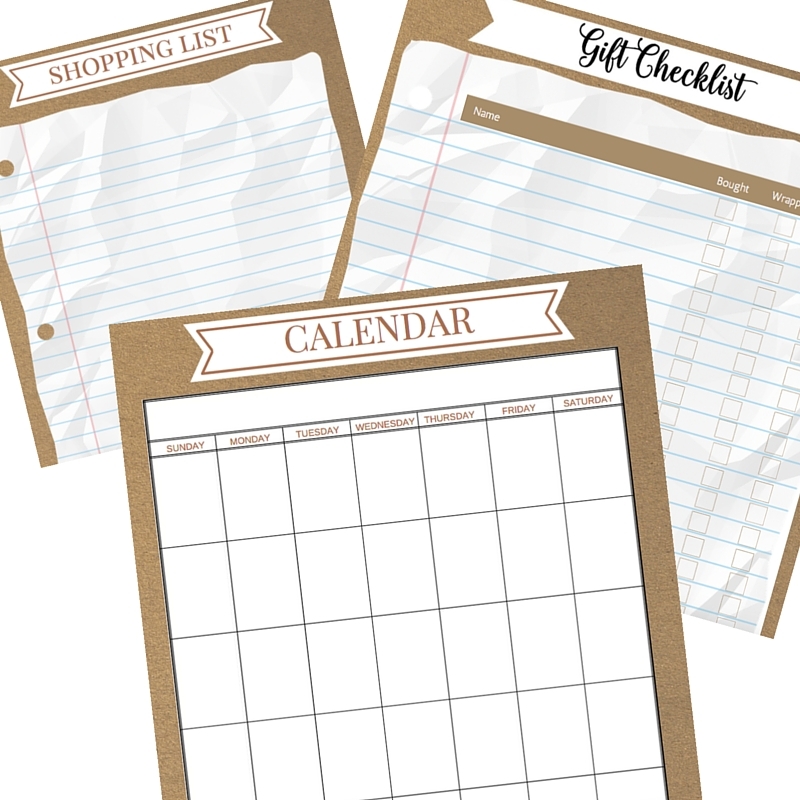 I want to give a big THANK YOU to Online FabricStore and Farmhouse Decor Shop for donating the prizes for this giveaway! 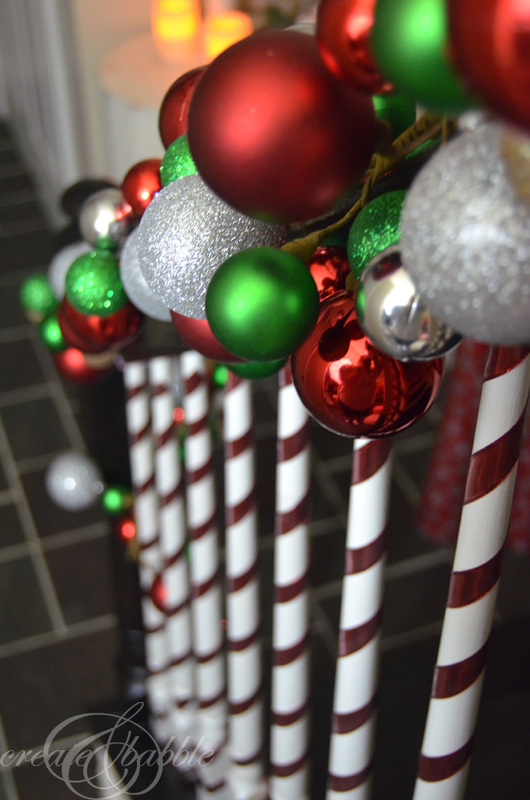 I love the candy cane spindles on your stairway! Very clever. Happy holidays! 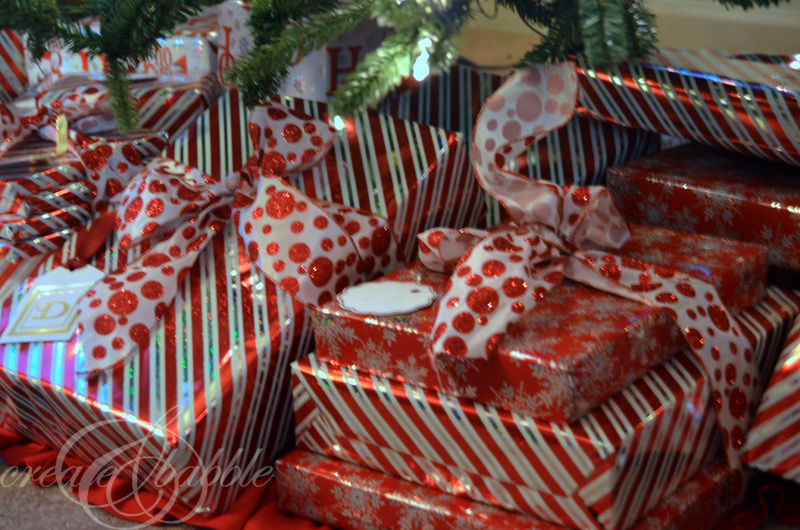 Lauren @ Mom Home Guide recently posted…Christmas Pajamas & Holiday Countdown! I love love love your red and white checked table cloths..er I mean curtains! Gorgeous!!! LOVE your style! 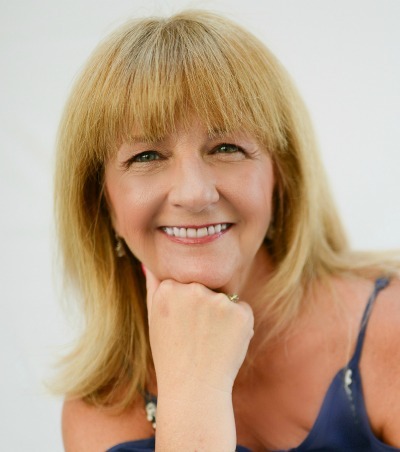 Everything is so lovely Jeanie. I love traditional red and white. You did more than okay on that chalkboard. I love it! So pretty Jeanie! 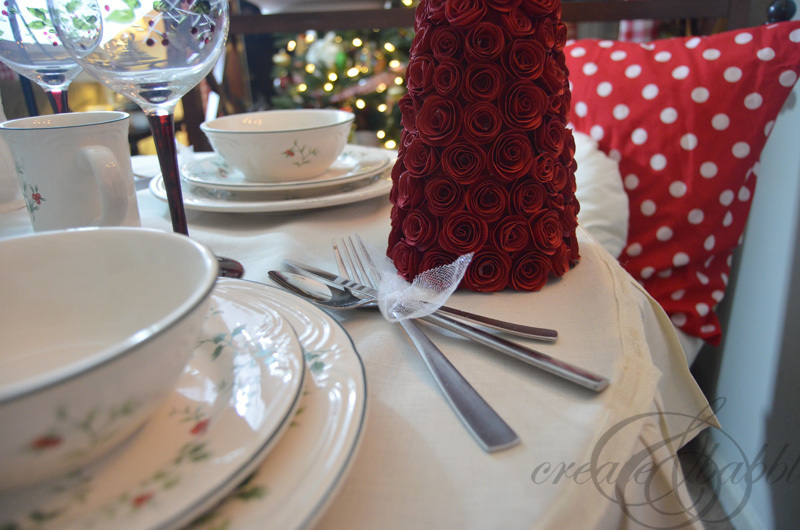 And while I love having my family all around at Christmas, I adore your romantic table set for two! 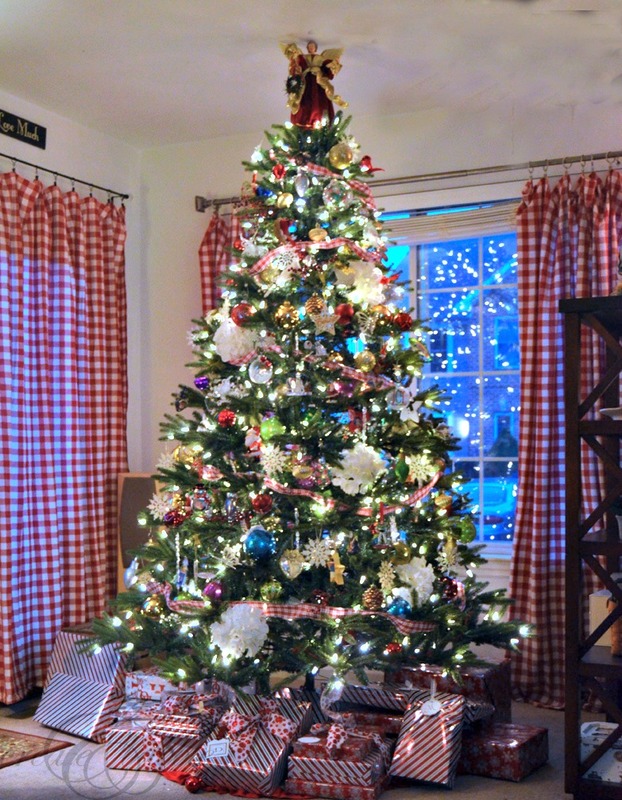 Just love it all your tree is so pretty! 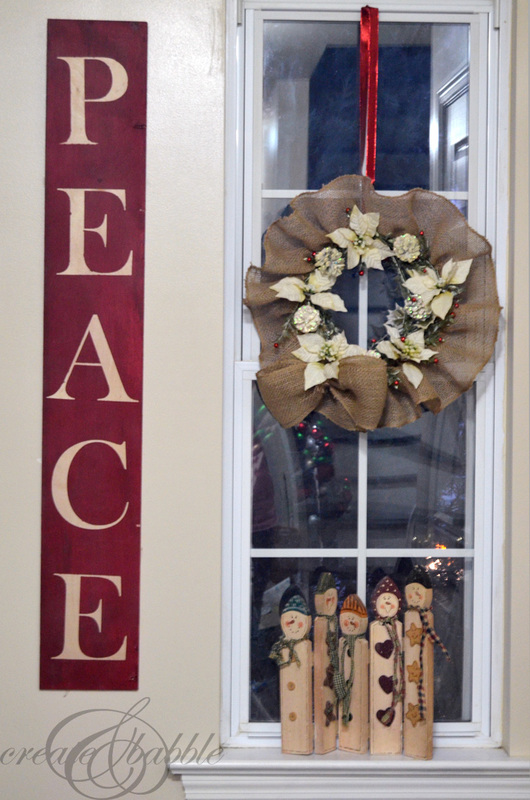 Love your Christmas decor. 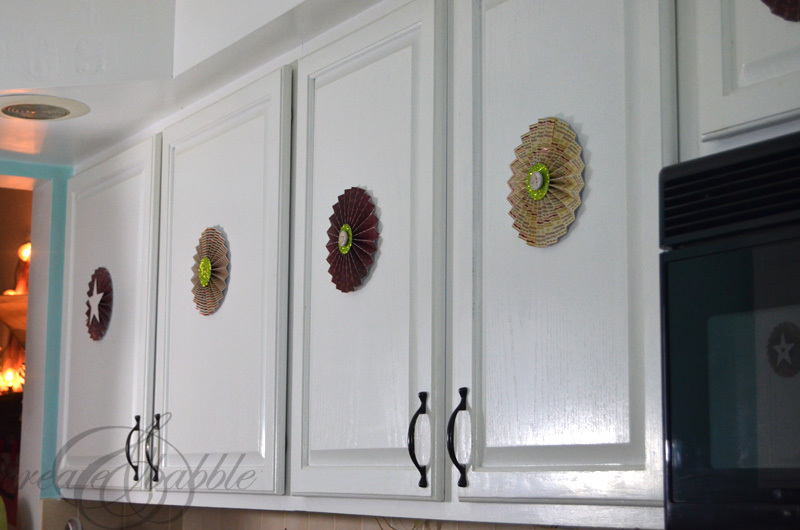 The snowmen in the window and the medallions on the kitchen cabinets are my favorites! 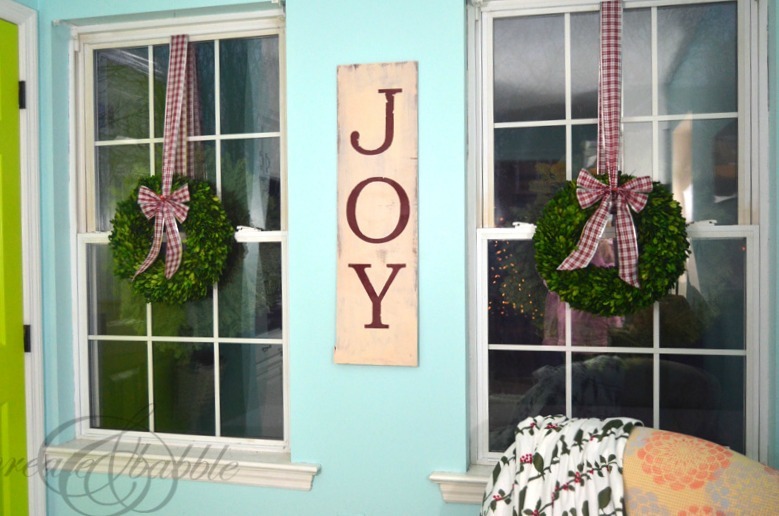 Love your double wreaths with gingham and your salvaged wood chalkboard is to die for! verrissenen Multiplayer können doch in vielen Fällen den falsch vermittelten Effekt der sozialen Verwahrlosung} aufhalten. Im Endeffekt: Gaming ist genial! Ungeachtet des Spiels und auch auf welcher Plattform. 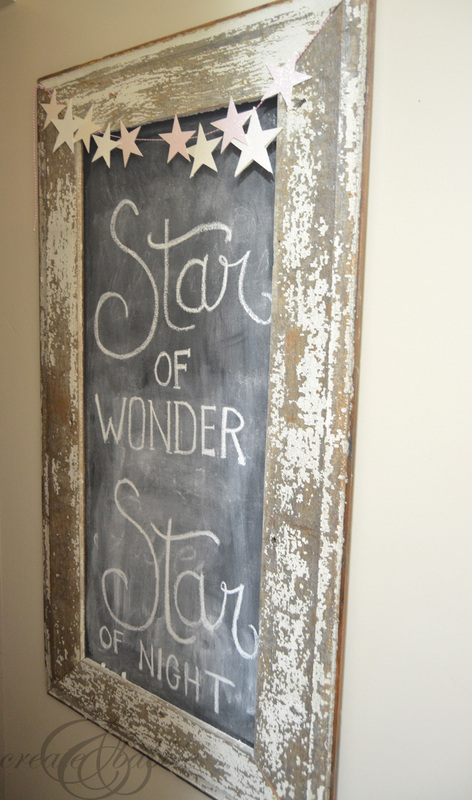 Love your salvaged wood chalkboard! Merry Christmas! What a gorgeous home. Merry Christmas!! You had me at the candy-cane striped rails! Adorable! I love the star of wonder sign the most. Love chippy wood. I so enjoyed your home tour. It looks so inviting and delightful! I have a lot of favourite touches including your burlap wreath, snipped evergreen branches (you have given me an idea) and I loved your salvaged wood chalkboard. I am like you about being super busy before I could get to the home tour and I stick to the traditional Christmas colours too! Have a wonderful Christmas with your Granddaughter! love your vertical wood signs. i really want to make some of my own one day! thanks for inspiration! Love your house. I can’t decide which tree i like better, and i pinned your couch and coffee table. So cute! I’m laughing because I have that same Paprika Pitcher from Longaberger 🙂 I love your chalkboard and the fun candy cane stair rail! It was fun doing the tour with ya. Happy Holidays! 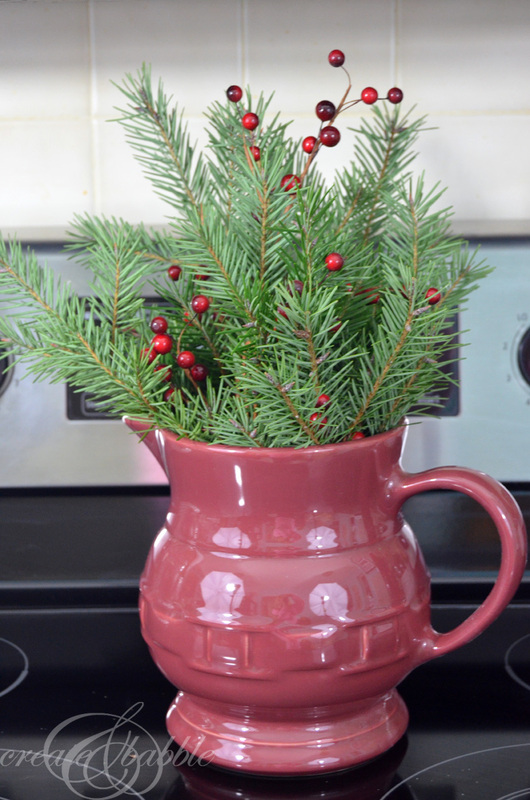 I really like that idea of putting evergreens and “berries” in a cup.